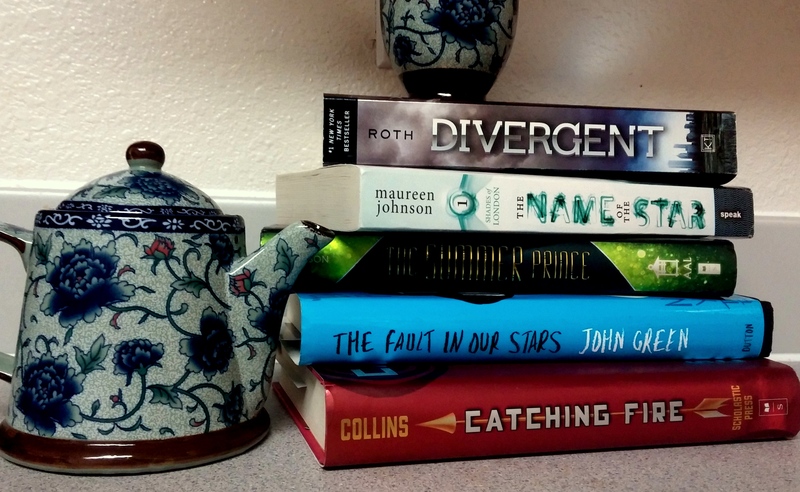 Basically, young adult (YA) is a genre of books marketed to young adults. The American Library Association classifies a young adult as someone between the ages of 12 and 18. Many publishing companies say a young adult is someone between the ages of 16 and 25. So, there’s not a hard and fast line on age, and the genre’s marketed readership is almost entirely dependent on content. Typically, YA books focus on young adult/teenage main characters, and while they may deal with some mature themes, harsh language, sexual content, grotesque violence, and so forth are kept to a minimum, if not excluded altogether. Here’s an example: When initially published, the Harry Potter books were marketed under the children’s or middle-grade genre. However, the main character aged as the books progressed and as he aged the themes and content matured. Now, it’s more common to see the Harry Potter books kept in the YA corner of a bookstore. Now, when I call YA a genre, I am including a host of subgenres that fall under it. There’s YA fantasy, YA science fiction, YA LGBTQ+, YA dystopian thrillers, YA realistic fiction, YA steampunk, and so on. The genre is by no means small. I would call my book a YA portal fantasy (i.e., The Chronicles of Narnia, Alice in Wonderland). You may be aware of the recent renaissance YA fiction is undergoing. Personally, I see many reasons for the emergence of interest in the genre. The widespread popularity of some series has drawn a larger following to the genre, most notably J.K. Rowling’s Harry Potter books, Stephanie Meyer’s Twilight Saga, and Suzanne Collins’s Hunger Games books. Looking at it from a business standpoint, publishers make a lot of money when books become movies, and YA books tend to translate pretty well to the screen. Also, it should be noted that many adults, along with the marketed group, read YA fiction, which contributes to its popularity. Some people think this is bad, and argue that YA fiction is inferior to adult fiction and will lead to bad things. Others disagree. Still others are pounding their heads in a corner, trying to figure out why people are criticizing YA fiction for poor writing while Fifty Shades of Grey is breaking bestseller lists without much fuss. How do I see it? As a reader of many genres including YA, children’s books, literary fiction, fantasy, and science fiction, I kind of see it all as part of the same debate that’s been going on for years. At the end of the day, some people like a certain genre of fiction, and others don’t. It’s been like that for a long time. In the early days of the novel, people thought they were seditious by nature, and worried that young women who read too much would be improperly influenced and might do very bad things, like think for themselves and have real opinions. In modern times, some people like romance novels, some people like crime, and some people with an over-inflated sense of propriety read literary fiction (just kidding). They read these books, these specific genres, because they like them. YA is like any other genre. Its fans read it because they like it. The story and character tropes speak to them, and that is just fine. Some people don’t like YA books because it just doesn’t work for them. That’s fine, too. As long as we can still agree that reading is better than not reading, I think the world will be a happier place. How do you guys feel about YA? Do you have a preferred genre of literature, and if so, why? I like your blog, Hannah. I’ve taught a lot of YA novels, and I’m fond of the genre. Robin McKinley is another great author with good female main characters. Of course, there are the classics…”The Outsiders” and “Catcher in the Rye”…Stay gold, Pony Boy! Margaret, I am ashamed to say I have not yet read Catcher in the Rye. I’ll have to put it on my reading list! I think about 80% of the books I own fall under YA fiction 🙂 Just picked up a newish series called the Lunar Chronicles by Marissa Meyer and am really enjoying them (we saw her at a GGC panel). I think sometimes YA fic can get a bad rep because sometimes super popular ones aren’t necessarily the greatest representation of the genre. Also different people like different stories! I have been thinking of picking up Marissa Meyers book since we saw her speak.